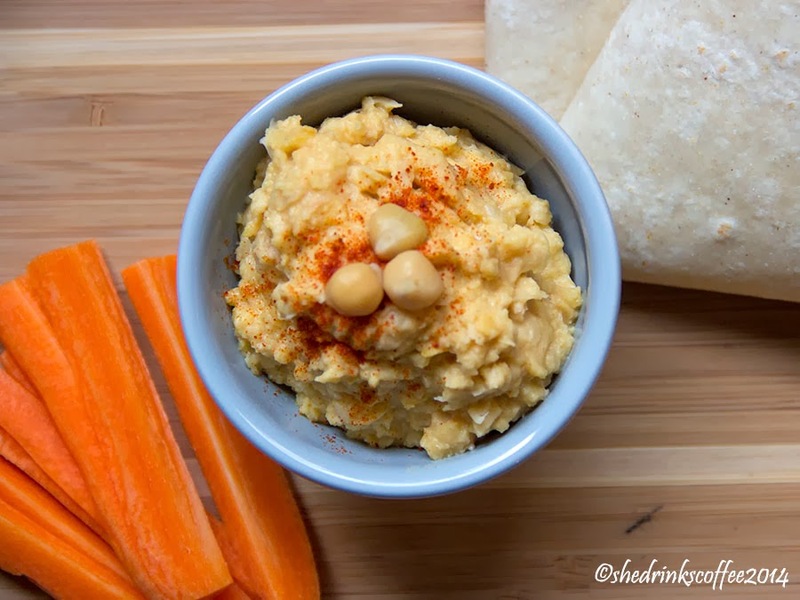 Hummus, houmous, hummous - however you choose to spell it, with a little bit of planning you can make a super tasty batch of it at home. I tend to keep dried chickpeas at home. If you have these on hand, you'll want to prep the night before. This means rinsing and soaking the dried chickpeas overnight (or at least 8 hours). 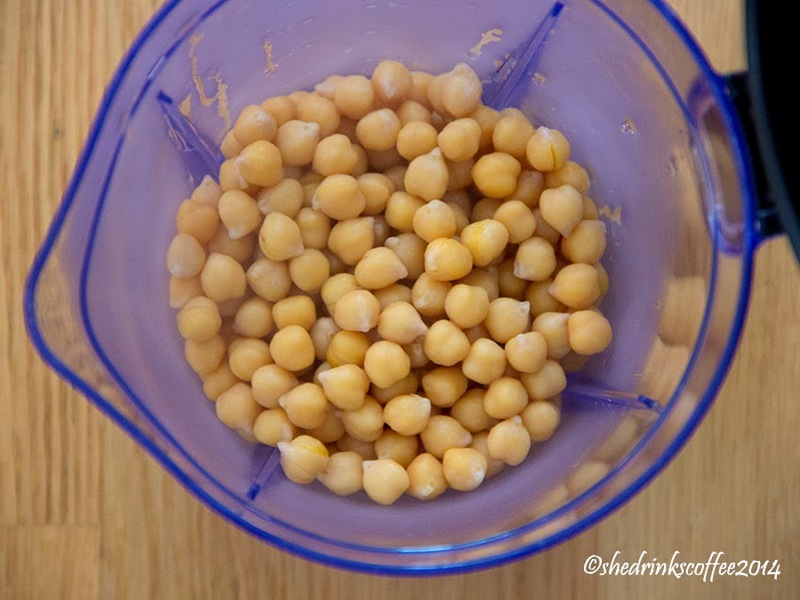 OR Use canned chickpeas, which are typically pre-cooked! 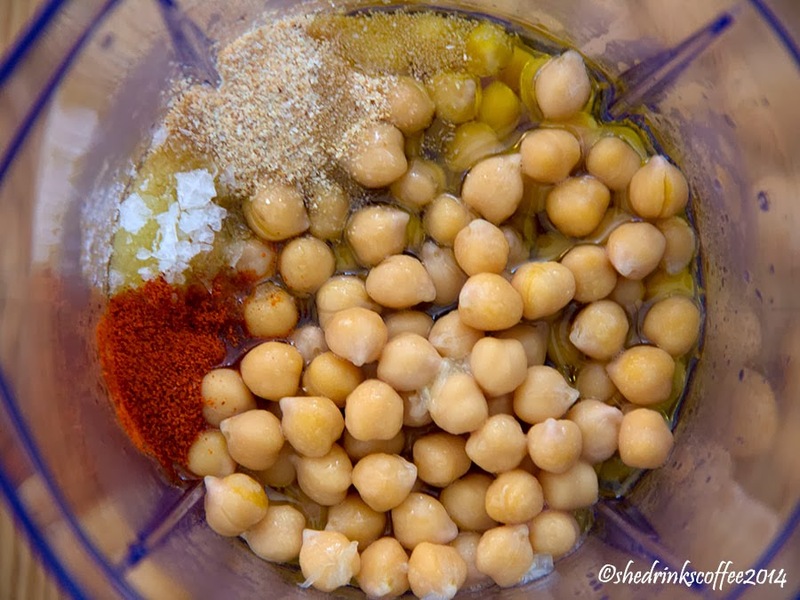 Place the chickpeas in a food processor or blender, then add the water, olive oil, lemon juice, garlic, salt, and chili powder. 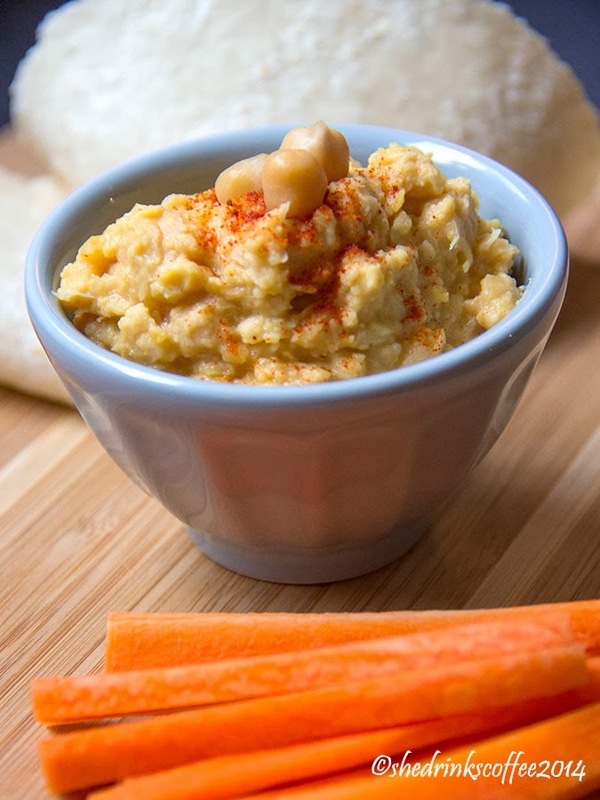 Technically most hummus recipes also call for tahini, which is a sesame paste. If you have some, you are super welcome to use it. However, you don't absolutely need it for this recipe. Maybe it's a little unorthodox, but it's still tasty! In the paste, the lack of tahini in my kitchen scared me away from trying hummus recipes - don't let that be a problem for you. Use a low/medium pulse setting to blend up the ingredients. Even with a blender, this step only took a little over a minute! 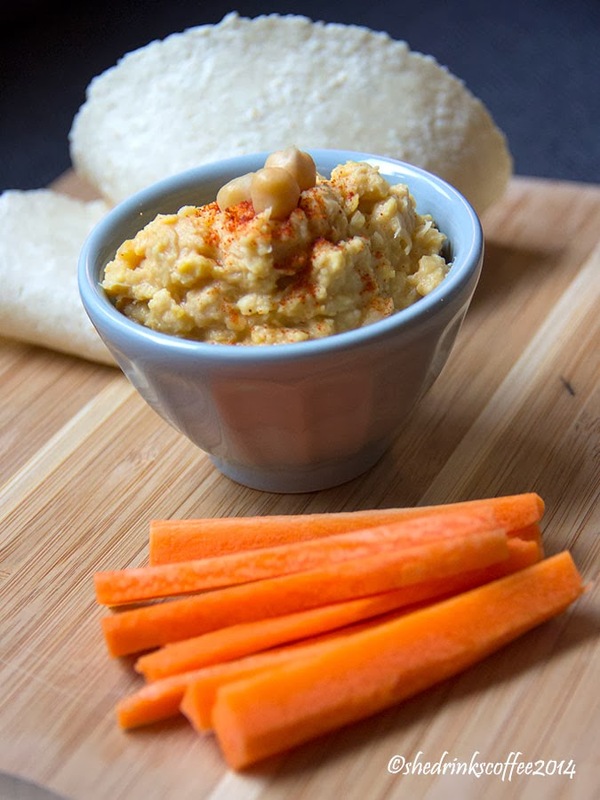 Chop up a carrot or tear up some pitta bread and dig in!